The sensational actor James Roday stormed the world of acting with his fantastic acting skills and some comic delight but that’s not all there is to him. He is also a known producer and scriptwriter. 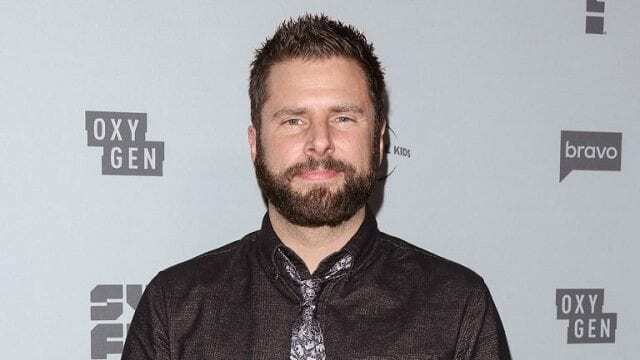 James Roday ventured into the world of acting after obtaining a college degree in fine arts, and luckily had his break in the sensational television series ‘Psyche’ which he featured in as Shawn Spencer. Since then, he has featured in several movies, theatres and television shows/sitcoms. The sensational movie actor, producer and Scriptwriter was born on the 4th of April, 1976 into a mixed ethnic family. His father Jaime Rodriguez is of a Mexican descent and his mother, Irene Rodriguez, from an English, Irish and Scottish ancestry. He was given the name James David Rodriguez at birth and was raised his Air force Sergeant father and his mother whose occupation has not been disclosed. Born in San Antonio, Texas, James Roday kicked off his academic pursuit by attending Taft High school in San Antonio and moved on to acquire a degree in Fine Arts from the University of New York. Graduating at an early age, James Roday kicked off his acting career at age 22 and also adapted the professional name James Roday. He started by first featuring in theatrical works as a lead cast in Sexual Perversity in Chicago and lots of other such works. The actor’s big screen debut happened in the 1999 movie ‘Coming Soon’ alongside Ryan Reynolds. Subsequently, he has had credits in the 2003 film, Rolling Kansas and The Dukes of Hazzard in 2005. His writing prowess cannot be over emphasised as he and his partners Todd Harthan and James Demonaco wrote the screenplay for the 2006 film Skin Walkers a first attempt that was quite successful. James Roday had the chance to direct his first movie Gravy in 2013 with his second, Into the Dark: Treehouse in 2019. Besides James Roday’s prowess movies, he ventured into in television series in 1999 beginning with Ryan Caulfield: Year One. This was followed by others like First Years in 2001 and NBC’s Miss Match in 2003. However, his big break into fame happened when he was cast in the season premier of Psyche where he played the role of Shawn Spencer. The series aired for 8 seasons and came to an end in 2014. In 2017, James Roday had a comeback hit as he starred and produced the Television movie PSYCHE: The Movie which he co-wrote with Psych’s series creator Steve Franks, aired in December 2017. A sequel was officially announced on February 14, 2019 which will be filmed in Vancouver in March to be aired later in 2019. Most recently in 2018, James Roday is on the ABC show A Million Little things as Gary Mendez. James Roday has claimed many significant awards and nominations. In 2006, he was nominated for the Best Actor in Series, Comedy or Musical for Psych by the Satellite Awards. His role as Shawn Spencer earned him an EWwy Award nomination in 2009 and in 2017, Roday won the FilmOut Festival Award for best actor for his performance as Dan Schauble in ‘Pushing Dead’. His feature in Psyche did not just end in making James Roday famous, he also got connected to the love of his life in co-star Maggie Lawson, who also featured in the series. They began to date in 2006 and had a sustained relationship for 7 years but eventually broke up and both stars parted ways as Maggie went ahead to marry another actor, Ben Koldyle on August 8, 2015, leaving James Roday single. With over 140 thousand followers on Instagram, above 193 thousand followers on Twitter and around 14 thousand followers on Facebook, it would not be a hard task to follow up the actor’s romantic life if he ever discloses his status as no longer single. The amazing American actor, scriptwriter and director has been on screen for over a decade and we could say that his fame is commensurate to his financial status. His net worth is pegged at $3million, which seems to be ever on the rise as the star has no plans of quitting any time soon. James Roday is not lacking in height and weight as he stands at a height of 5 feet 9 inches and weighs 54kg. His physique has seen many women attracted to him.